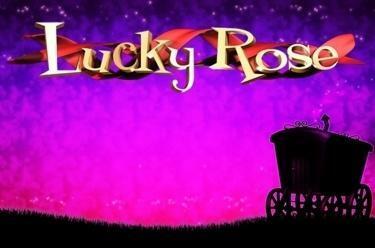 Play Lucky Rose™ online for free now! The future only holds the best in store for you with Lucky Rose™. A look into the crystal ball tells you big winnings are ahead - trust the prophecy and enter the small caravan with sparkling gold coins and red roses on a Twist adventure! You should, however, always trust the crystal ball and the psychic abilities of the fortune-teller - she will open great win possibilities in the bonus game. 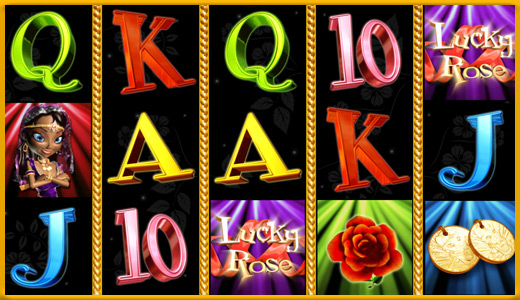 5 reels and up to 10 win lines will enable your winning streak with Lucky Rose™. A really big Twist win awaits when you land 5 matching symbols along a win line. Win lines always run in different patterns from left to right across the reels. In order to win you have to land the required amount of identical symbols from the left consecutively along a win line. The Crystal Ball wins in any position and also triggers 12 free games. If at least three Crystal Balls land on reels 1, 3 and 5 in a spin, you win 12 free games! You play with the settings of your last round. Take a look into the Crystal Ball - it shows you which 3 Mystery symbols will appear for you during the free games. Only those symbols will appear during the free games and they will provide you with a little luck. If your luck is in you can win additional free games during the current free games.